Friends, family, and fans are praying tonight for the Red Dirt Legend Brandon Jenkins who is currently in a hospital with his chest still open from open heart surgery, fighting for his life after complications in surgery have left him in “extremely critical” condition. The Tulsa, Oklahoma native first entered the hospital after discovering he was suffering from a major heart issue in early February. After running numerous tests, it was determined Jenkins needed a new heart valve, and surgery was scheduled for Wednesday, February 21st in Nashville to be performed by cardiac surgeon Dr. Lawrence Pass. Jenkins arrived at the hospital at 5:30 a.m. on Wednesday, and was scheduled to go into surgery at 8:00 a.m., with hopefully everything wrapping up by noon. 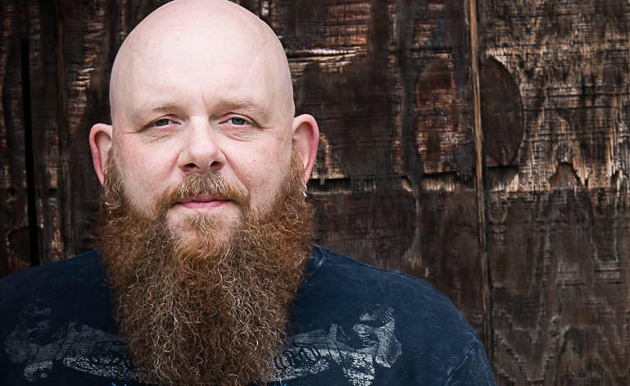 Brandon Jenkins is beloved in the Red Dirt music scene in Oklahoma and beyond. He first met the likes of Cody Canada, Stoney LaRue, and Mike McClure while attending Oklahoma State University in Stillwater, Oklahoma, and soon became known as one of the founders of the scene. Jankins moved to Austin in 2003, and then relocated to Nashville in 2016. Many fellow Red Dirt musicians have covered Brandon Jenkins songs, and he tours frequently behind his independently-released albums. At the recent Mile 0 Fest in Key West, FL, many of the Red Dirt performers played renditions of Jenkins songs in tribute, and shouted out their support from the stage. Brandon was scheduled to perform at the event, but had to cancel due to the health issues. Brandon’s just-released album Tail Lights in a Boomtown can be purchased on iTunes, and you can also donate to him directly via paypal. You can also purchase “Hearts Beat for Jenkins” merch that will go to support his hospital bills. Saving Country Music will continue to monitor this story as more information is made available. Prayers continuing to come his way. May God be with him and his loved ones during this time. Sorry to hear this. Prayers for him and his family. Prayers for Brandon & his family!! Bought his new album right after the release. A good one. Hope he will recover soon. Prayers for Brandon and his family . Prayers for Brandon! From Gainesville,Ga. Prayers of healing for my friend, Brandon Jenkins!!! Prayers for the Jenkins family! Much love and prayers to you brandy. Love you!